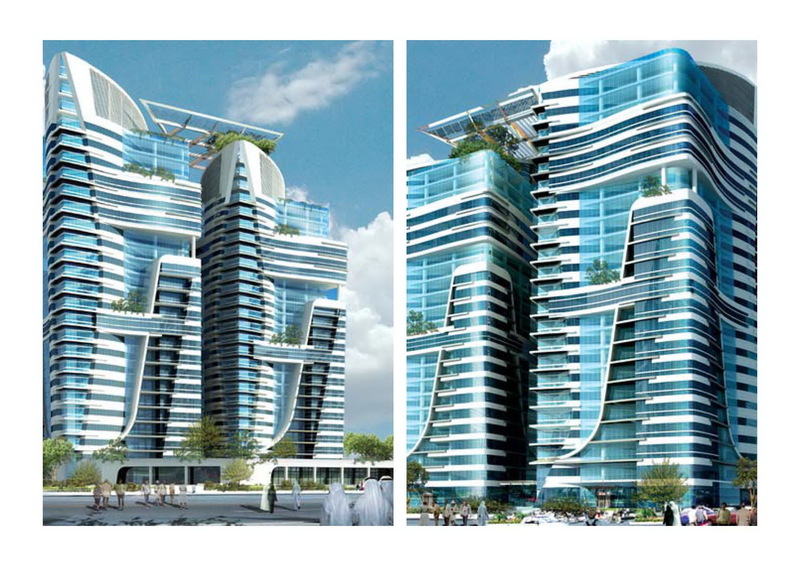 This project was announced during Cityscape last week, but the news was lost among the clamor for information on Jumeira Gardens, a development we'll mention later. 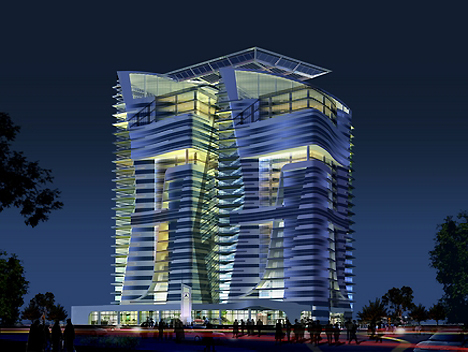 These two so called Eco Towers have been designed to be the first mixed-use towers in the Middle East with LEED Platinum certification. The 23-story Eco Towers are being developed by Connection Real Estate for ~$245 million USD. Available space in the two buildings will be split almost evenly with one being the commercial and the other being the residential tower. The buildings will be built upon a podium with what looks to be a vibrant retail plaza area. 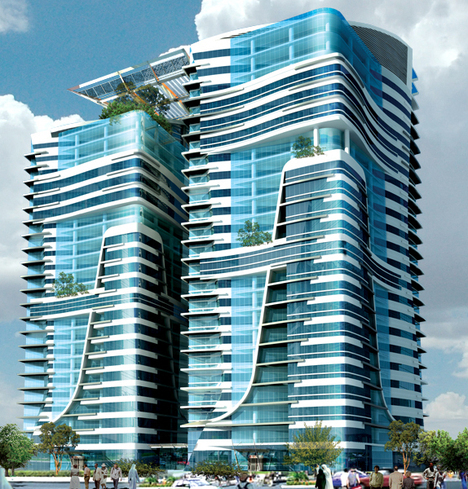 With solar power, air purification systems, green terraces, toxic-free materials, effective insulation, abundant natural light, access to several local services, and everything else that will drive the project to the highest realm of LEED certification, Eco Towers seems poised to continue the greening of Abu Dhabi.